Could Padres & Mets Be Trade Partners This Winter? The San Diego Padres are reportedly looking for an ace pitcher and have plenty of trade chips to get a deal done. 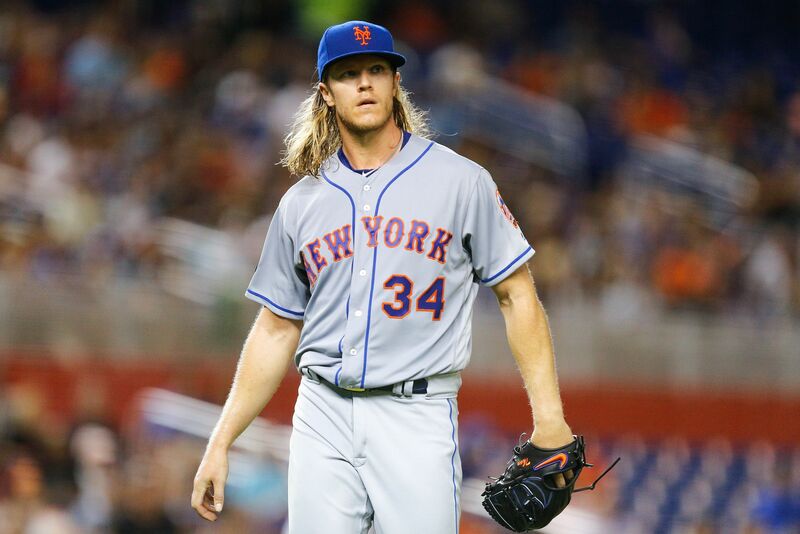 Will the New York Mets and Padres be able to get a deal done for one of the Mets top of the rotation starters? This winter, things could get very interesting. The 2018 Major League Baseball season is winding down and one of the more exciting things will begin soon after — the offseason. The “Hot Stove” will fire up and teams will begin making moves to improve their rosters ahead of 2019. Some teams will sign free agents. Other teams will make trades. Either way, some big splashes are expected to be made. The San Diego Padres are one team that could make a splash over the winter. The Padres have moved further along in their rebuild as they have already started to bring up some of their highly-ranked prospects. Francisco Mejia (No. 21 overall) and Luis Urias (No. 22 overall) recently made their respective major league debuts. The Padres have also brought up several pitching prospects over the course of the season. The Padres have decisions to make over the winter regarding prospects and some players at the major league level. The front office will need to address the logjam in the outfield. Hunter Renfroe, Manuel Margot, Franmil Reyes and Travis Jankowski have handled a vast majority of duties in the outfield. When Franchy Cordero makes his way back from the 60-day disabled list, he will join that mix. Back in July, the Padres were mentioned in trade rumors that involved New York Mets pitchers Jacob deGrom and Noah Syndergaard. The Mets dangled both of their All-Star pitchers on the trading block, but never made any deals. The Mets decided to keep both pitchers in 2018, but that doesn’t necessarily mean they won’t listen to trade suitors over the winter. Either pitcher could be dealt for the right price. It all just depends on how the Mets plan to get back into contention in the NL East. If the Mets desire prospects for one of their prized pitchers, the Padres have a deeper pool than anyone. The Padres have so much talent in their system that they won’t be able to keep all of it. They have players to protect from the Rule 5 draft, but they may trade some of those pieces to avoid seeing them trapped in the minors. One of those pieces is catching prospect Austin Allen. The 24-year-old catcher played at Double-A San Antonio this season, hitting .290/.351/.506. Allen is the Padres’ No. 25 prospect. There’s just one problem — the Padres have Mejia and Austin Hedges, and the two are believed to be a catching platoon in 2019 and possibly beyond. Allen is eligible for the Rule 5 Draft after the season. Even if he’s added to the 40-man roster, he’s stuck in the minors. Another prospect who could be included in a deal for Syndergaard or deGrom could be Josh Naylor (No. 15). Naylor also spent 2018 with Double-A San Antonio, hitting .293/.383./.487. Naylor can play the outfield or first base, meaning he’s also trapped in the minors. He wouldn’t need to be added to the 40-man roster to be protected from the Rule 5 Draft until after next season, but the current situation doesn’t allow for him to be called up to the Padres. Eric Hosmer is the starting first baseman for at least four more years, and the outfield is already full. The Mets might want a pitching prospect in return if they deal deGrom or Syndergaard. The Padres have plenty of pitching prospects. If the Mets want a young pitcher who could pitch in the majors next season, they could ask for someone like Cal Quantrill or Logan Allen. If they prefer a talented prospect who is still developing, they could ask for someone like Michel Baez. The Padres have plenty of options to present. Three prospects might not be enough to complete any deal, so the Padres might need to add a veteran. This might be viewed as an unpopular idea, but that veteran could be Wil Myers. Myers moved to the outfield after the Padres signed Hosmer. He spent significant time this season on the disabled list, but returned to assume his place in left field. Over the past month, he’s been starting at third base. Since joining the Padres in 2015, Myers has played center, right, left, first and third. Five positions in three seasons. The only real hurdle that would be a concern in any deal that involves Myers is his contract. He’s set to make $5.5 million in 2019, then his salary jumps up to $22.5 million in 2020. He will earn that same amount in both 2021 and 2022. Trading Myers might anger some fans, but it’s a move that could benefit the Padres. If the team were to acquire a third baseman, Myers would have no choice but to go back to the outfield. That move only further complicates an already difficult situation. Padres general manager A.J. Preller will be busy this winter. He has prospect to add to the 40-man roster, prospects to move, and he will be looking for ways to make the team better in 2019. Acquiring one of Jacob deGrom or Noah Syndergaard could be one approach to moving the team from cellar-dweller to contender. i am 100% agree with your comments let see some young players. 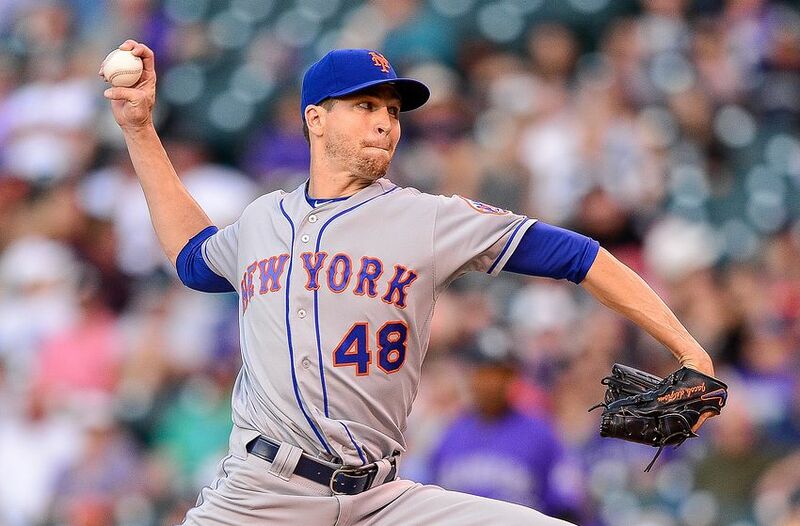 deGrom makes little sense for the Padres because he only has 2 years of control. 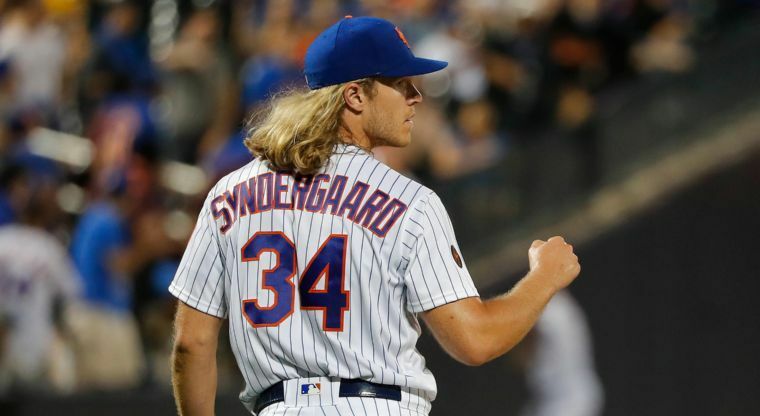 I’m not a big fan of Syndergaard because of his health issues. Padres shouldn’t pay top dollar for either of them. Instead of trading for an ace, I’d rather the Padres spend 2019 promoting and developing their in-house talent like Nix, Quantrill, Allen, Paddack, etc. I would like to see this approach as well. Let’s get a longer look at more young players. Myers is not the only player who needs to go. How about Pirela, Spangenberg, Viilanueva, Richards, Margot, Asuaje, Ellis and Perdomo…? I’m ok with all but Margot finding new addresses. I’d like to see one more year of him. One year of “get the job done or be replaced” pressure. Perhaps the same deal for Villanueva as a place holder, just in case he can build on 2018. Pirela and Asuaje will most likely be DFA’d. Ellis is a FA and probably won’t be invited back. Spang is on the bubble, but he will likely stick around another year. Richard and Perdomo will probably be long relief guys. Mets desperately need a hird baseman and a catcher who can hit .260 and frive in 70 or 80 runs. Can’t contend without MORE run production and more consistent hitters in the lineup. The two teams don’t really match up well. SD is just not close enough to being good to justify giving up their 2 best prospects for 1 pitcher. This kind of a deal would make sense for the NYY who are full of young players on the ML level already, or the Giants who are so bogged down on useless veterans that it might not matter, but for a bad, young team trading top prospects seems suicidal. Trading Myers is, of course, more a fantasy than anything else. No FO with any smarts should want any part of him. SD will have to eat at least half of his salary to move him at all. A 28 year old who’s no better than a league average hitter, who can’t really field any position well, and is terribly overpaid just won’t have much of a market. Might just have to live with him at 3b. Why would the Mets look to add a 1B or OF prospect? They have Nimmo, Conforto, Smith, Alonso, Cespedes, Bruce, Lagares, Flores. They need a catching prospect or 3B prospect, and I’m sorry, but a 24 year old prospect playing in AA and who is ranked 25 in a team’s system (not in MLB) isn’t getting DeGrom or Noah. The conversation starts with Mejia, and continues with another 2-3 high-end prospects. 100% agree with your comments. Yeah, he might be 24, but he was only drafted back in 2015. The kid can flat out hit and has a ton of power, he is still continuing to improve his work behind the plate though, that’s his biggest knock. And regarding his prospect ranking; we’re talking about the Padres system. If he was in almost any other system he would easily be top 10-15. Agreed. And, trading deGrom would be one of their most ill-advised moves in recent history. Jacob & Thor are the backbone of their starting pitchers. Can’t imagine the Mets taking on the Myers contract. Especially since he hasn’t shown an ability to stay healthy at any position other than 1b. I also think it would take higher prospects than organizational #15 and #25. Good start but add Urias and maybe (maybe) the Mets will talk. They have been playing well since their staff got healthy so they have no motivation to trade at all. You’re insane dude. The no 25 and 14 prospect and Myers for an ace. Try your top two inthe field prospects and top pitching prospect and the discussion may start. The Mets got the Phillies 10th best prospect for Cabrera rental. Dear Mr Preller, please trade the under performing, often injured Myers. We won’t miss him at all.